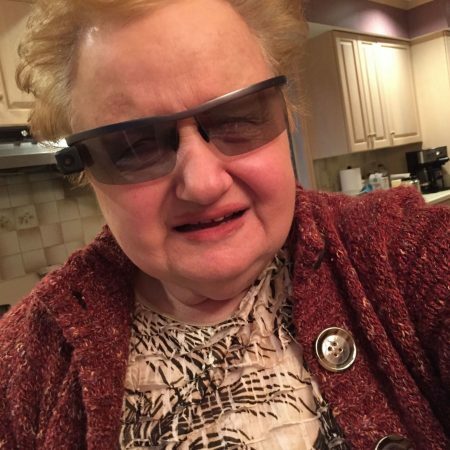 Betsy gives thanks for technology for helping making her life as a blind person more accessible. As a ham radio operator, she has spoken to people all over the world and communicated through morse code. She has even made technology her job and teaches computers to the blind.